Good day pretty! An inspirational quote for today, mistakes are proof that you are trying! Yes and no matter how hard you day or week has been at the end of the day just think that life goes on. With its lightweight formula that looks and feels just like your skin, the Dream Satin Skin Liquid Foundation gives your skin an airbrush effect so it looks effortlessly satin-smooth and poreless. Its in a sturdy glass bottle with a very cute pump and a plastic cap. Its a bit heavy to lug around in my small kit. I am honestly more of a BB cream person rather than liquid foundation. Oh well, I like BB creams because its an all in one product plus it even offers high SPF. I had this foundation for a while now in B2 (I'm shade NC 25 btw) but I haven't had the chance to use it daily because I prefer my BB cream. Uh-oh not until I read an article that instructs to spray facial mist and use liquid foundation right after for a pore-less and long-lasting finish. Guess what? After trying it out, I am in love. 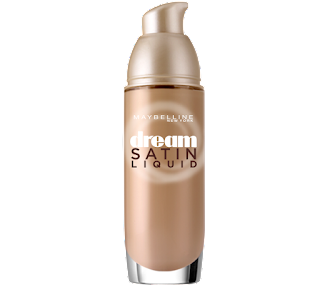 Maybelline Dream Satin Skin Liquid Foundation makes my pores less obvious and it melts into a dewy finish. I also applied powder foundation and it sets nicely. Its not oily, didn't cake and didn't broke me out. The coverage is buildable from medium to heavy. For redness though you may still need to apply concealer. I prefer applying it using my fingers but I might try buying a sponge soon, I found one in Miniso, hohoho~ I don't bring this with me because its heavy and it might break if I always have it. I am a magnet for falling objects. Just like any other liquid foundations, Maybelline Dream Satin adheres to the skin longer and better compared to powder foundations so make sure to use makeup remover to get rid of the product completely. I recommend Maybelline Dream Satin Skin Liquid Foundation to girls with dry skin because it can moisturize your skin while still providing coverage. 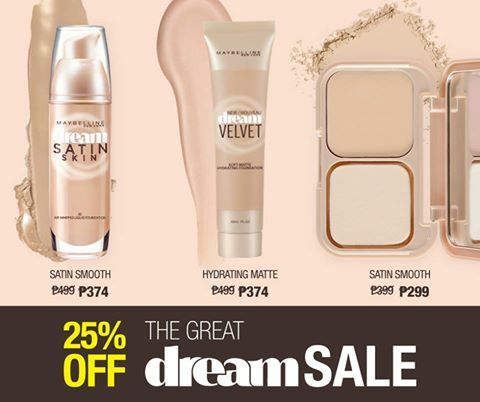 For oily to combo skin you may want to try the Dream Velvet variant because its very lightweight and provides awesome coverage as well. 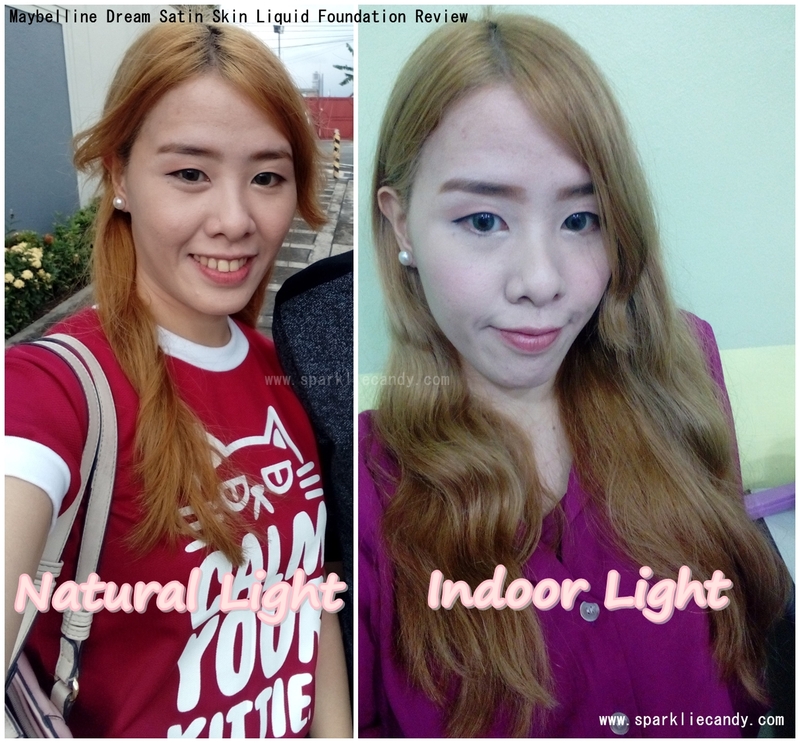 Maybelline Dream Satin Skin Liquid Foundation in action. Are you getting Maybelline foundation for yourself? Share in the comments what's your favorite face makeup product now. See you in my next post!